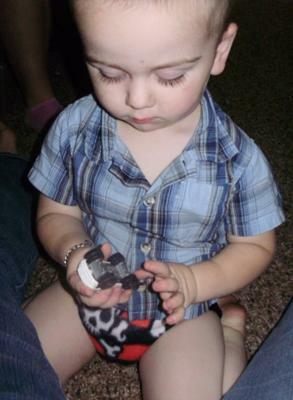 This is a good picture of my 2 year old playing in his cloth diaper. We have only been cloth diapering for about 5 months now, but he has NEVER been happier! I like the skull print on this little bum! Kinda hard to see but totally cute!